USA: The Food Chain Workers Alliance in conjunction with the Service Employees International Union United Service Workers West have announced plans for a day of no work, school, or shopping on May 1st, International Workers Day. 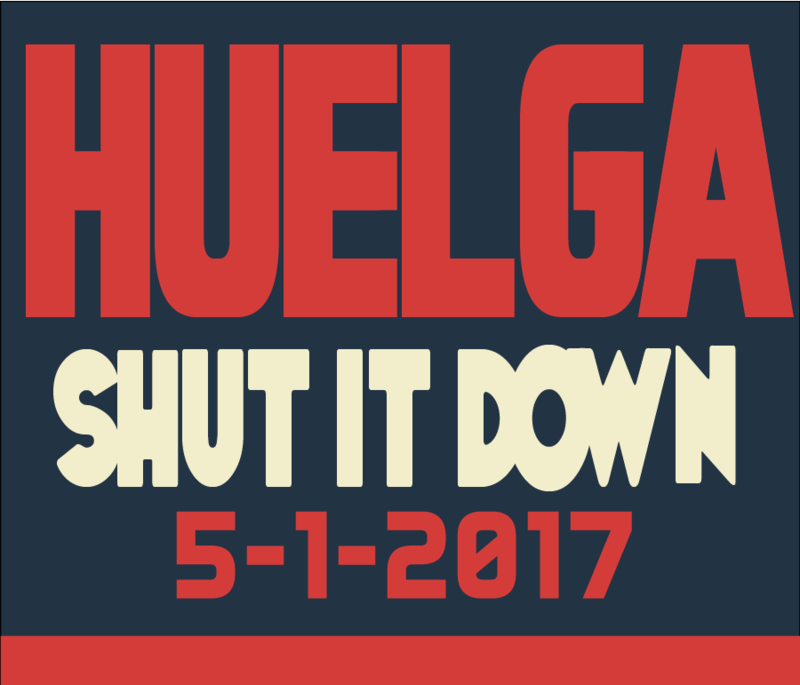 The coalition of farmworkers, cooks, servers and food manufacturers will join janitors, airports workers, and others in Los Angeles based union SEIU-USWW to stand up against immigrant raids, the violation of indigenous people’s rights, attacks on worker’s rights, the racist justice system, violence against trans people, Trump’s “Muslim ban”, and environmental destruction. By choosing May 1st, strikers will help commemorate the deaths of George Engel, Adolph Fischer, Albert Parsons, August Spies, and Louis Ling who were murdered by the city of Chicago during the fight for the eight-hour work day. Support the May 1st strike! No work, no school, no shopping! Previous post: #Minneapolis: All Out Against Fascism and Hate on March 31st! This coalition of farmworkers, cooks, servers and food manufacturers will join janitors, airports workers, and others in Los Angeles based union SEIU-USWW to stand up against immigrant raids, the violation of indigenous people’s rights, attacks on worker’s rights, the racist justice system, violence against trans people, Trump’s “Muslim ban”, and environmental destruction.